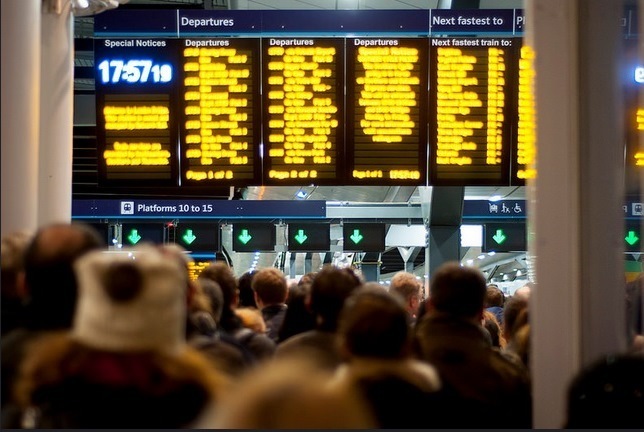 Things haven't got much better for commuters using London Bridge station, with further reports of overcrowding, cancelled services and lack of information. In January, we wrote about how work being done at the station for the £6.5bn Thameslink programme has led to severe delays for passengers, who branded the service 'a disgrace'. We've since seen some alarming pictures of passengers having to jump ticket barriers to avoid being crushed on the concourse. One passenger told Londonist that, "at least 50% of my Southern trains into London Bridge in the morning are either delayed by at least 10 minutes or cancelled". Attempts to prevent overcrowding on the platforms don't sound much better — we've been told that once a platform is announced, around 50-75 passengers are let through while the rest are held behind a barrier until a couple of minutes before the train leaves. At that point, the barriers are opened and "a crazy stampede" ensues. “In the last few weeks passengers have experienced unacceptable levels of service and over-crowding at London Bridge station. Passengers have been very tolerant about the changes to their usual travel arrangements, but understandably they have lost their patience with the recent poor service experienced for which we are very sorry. We asked Londonist readers about their experiences. Lack of real-time information was a common theme, as was overcrowding on platforms and the concourse. But we also heard about rerouting of trains with no warning, a two hour journey from London Bridge to Brockley and being unable to get off the train because it was so crowded. Others mentioned rude and unhelpful station staff, near-fights between passengers and trains being removed from the announcement boards with no explanation. We do have a suggestion for Network Rail and the train companies though: live-Tweet pictures of the platforms and concourse so people can decide before they get to the station whether or not it's too overcrowded. The consensus appears to be that as soon as there are problems, things snowball very quickly and Network Rail seems unable to cope. “This morning’s meeting with the Transport Secretary Patrick Mcloughlin was an opportunity to impress upon him just how bad the situation at London Bridge has become. “We also pressed the Transport Secretary for significant compensation to be given to the passengers affected. 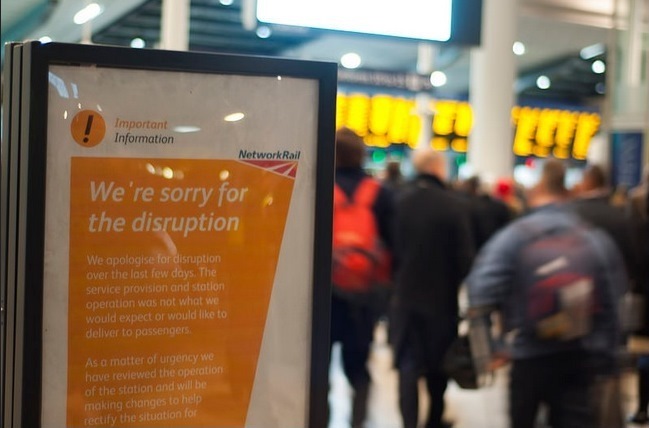 Having paid thousands of pounds for their tickets commuters have faced consistent chaos, delays and cancellations – it cannot be right that they aren’t being properly compensated for that." Meanwhile, Mayor Boris Johnson has told Network Rail to make emergency plans to avoid chaos over Easter, and the Green Party has launched a campaign (with obligatory online petition) which calls for Southern, Southeastern, and Thameslink rail services to be re-nationalised, along with a 12% fare cut for passengers affected by delays. The RMT has also weighed in, writing an open letter to the three train companies after a rise in assaults and abuse of station staff by frustrated passengers. Prime minister David Cameron hasn't yet commented but it's surely only a matter of time. The thing is, we know that work needs to be done across the capital's transport system and expect some disruption. In a couple of years' time we'll all have forgotten the fuss and be enjoying our shiny new stations with (hopefully) more reliable services. But if only the process of getting there wasn't so bloody awful for commuters — who, let's face it, pay ever increasing costs for an ever decreasing level of service — we might not be so cross about it. All photos by Andy Thornley.